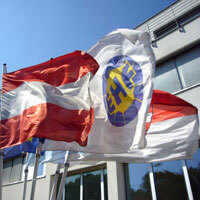 EHF Arbitration Tribunal President appointed the members of the Inquiry Panel to obtain information and review facts. The EHF Arbitration Tribunal, the independent legal body within the EHF, initiated proceedings on 27 March 2009 concerning six different cases of alleged attempts of undue influence in EHF competitions. Currently the first phase of the proceedings is underway with the investigation of facts and gathering of information from individuals, clubs, federations, EHF officials involved in the relevant matches. In order to handle all proceedings most efficiently, the President of the EHF Arbitration Tribunal, Rui Coelho, has decided to create a panel of five EHF Arbitration Tribunal members. The Inquiry Panel includes Tapio Arponen, Alenka Cuderman, Moshe Herman, Willy Tobler and the Chairman Rui Coelho in order to carry out the first investigation phase in all six cases. The objective of the panel is to obtain all necessary information, review the facts, documents and statements. After the conclusion of this process, the panel shall state whether the cases shall enter the next phase and be decided upon. Following this procedure, the President of the EHF Arbitration Tribunal will nominate a Final Panel of three EHF Arbitration Tribunal members for each open case to reach a decision. The EHF wishes to reiterate its commitment to open communication on the matter and will publish regular information on the status of the proceedings.